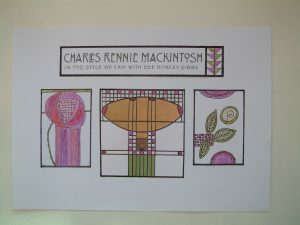 To gain initial insight and understanding of Charles Rennie Mackintosh’s particular style of work, we will view and discuss some illustrations of his architecture, furniture, textiles and lettering. Worksheets, demonstrations, one to one assistance and tutor led group discussions, will help to encourage development of your work. 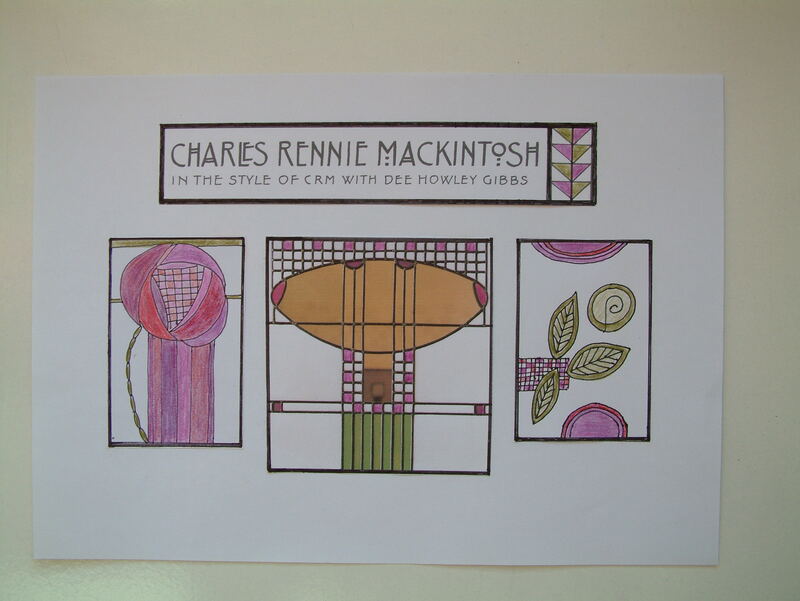 Practise some essential simple drawing in the Charles Rennie Mackintosh style, to create an illustration. Examples will be given to help. Develop a small design, combining your lettering and illustration. We will bring this to paste-up stage or fruition, depending on time and experience.